Enjoy Jewish and secular highlights rolled into on brilliantly insightful tour. This tour provides an overview of the city's key iconic sites as well as an insight into Jewish community life. Take your choice of the full day tour, the half day tour, or even the eco-friendly walking tour. 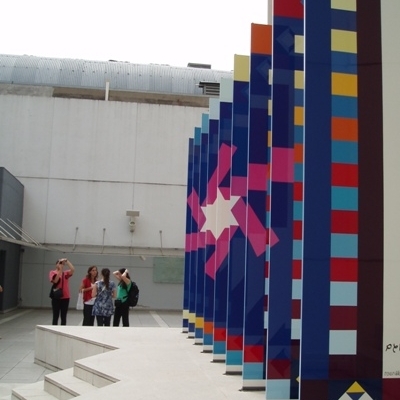 This tour features highlights of Jewish community life in Buenos Aires including the "Federation" building. We think the tour is equally interesting without a stop-off at the AMIA, however, if you are a fan of Agam's work, we recommend this tour for you! The tour is molded to your needs and can also be modified as an eco-friendly tour or a more budget tour. Enjoy the highlights of this second city rolled into a day of touring Rio. See locations such as Corcovado or Sugarloaf Mountain, Boticario Square, Rio's JCC, Rio's largest and oldest synagogue, Rio's Jewish Museum, San Sebastian Metropolitan Cathedral, Aqueduct and Old Town. Choose your style of tour and pick how you'd like it done! Experience historic Art Deco architecture as you explore the South Bronx and learn the Jewish history of this neighborhood with a local resident. Learn about the dynamics of the history here born on the aftermath of workers' rights in the 1920s. On this tour, explore the South Bronx from its early visionary urban planners' viewpoint and the charged growth of blooming immigrant communities, to the neighborhood's decline, and, to its story today!